This is the intertwined story of two feisty food plants - both highly prized in their respective food cultures, which have evolved 5,000 miles apart. 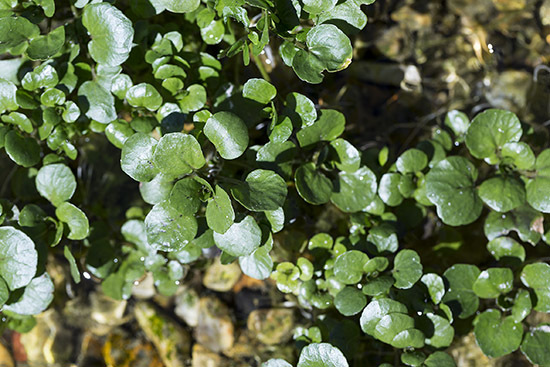 Watercress is a quintessential English crop, the original grab-and-go snack. During the Victorian era, we consumed more than a million bunches a day. Wasabi is revered in Japan, where archaeological evidence suggests it was eaten as far back as 14,000 B.C. Wasabi farms were a traditional gift for retiring Samurai warriors. Until now wasabi has never been grown commercially in Europe, nor has the genuine article been easy to find. The vast majority of 'wasabi' sold here is actually horseradish, mixed with green dye and a touch of sugar. 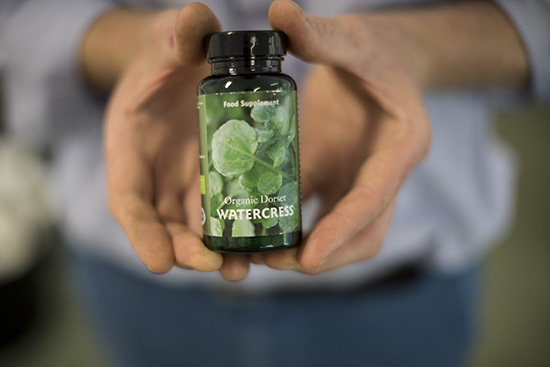 It was sheer good fortune - and a flair for innovation - that led Tom Amery, Managing Director of The Watercress Company, to invite his team to experiment with genuine wasabi as a potential niche crop. In 2010 a travelling Japanese chef visited one of the company's watercress farms in Spain. He pointed out that wasabi could be grown in a similar way, using growing beds fed with pure artesian spring water. "We were looking for something alternative, a credible investment that was niche and could offer sustainable growth for an innovation based business," explains Amery. 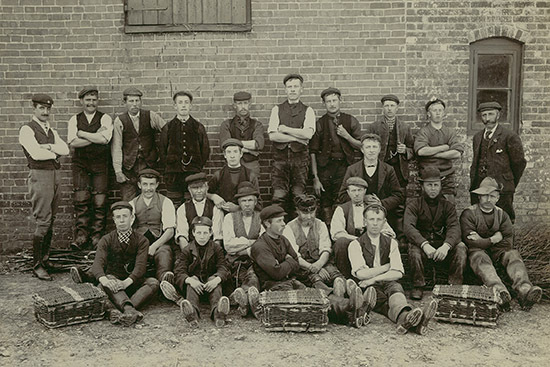 Fast forward several years - including many failed crops and "total wipeouts" - and Amery's team was confident they had finally got to grips with commercial cultivation of a notoriously temperamental plant. Wasabi produces 'recalcitrant' seed, which means it must never dry out if it is to successfully germinate. In Japan, the wasabi plant, a.k.a. wasabia japonica, often grows by streams. Left to its own devices, it releases seed into the water to drift and germinate by the banks downstream. 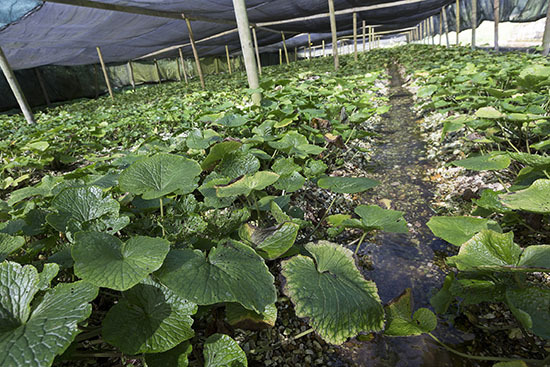 Wasabi takes two years to reach the point of harvest. It dislikes hot weather, which makes wasabi suitable for the UK climate. 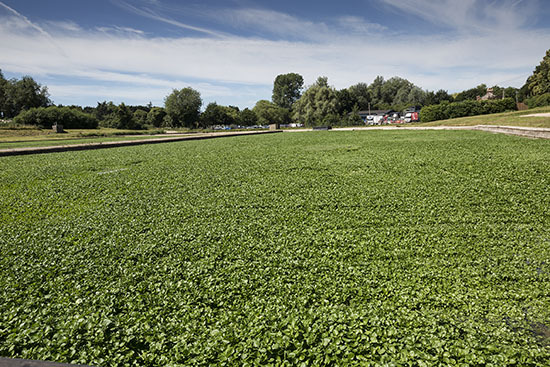 It is wasabi's affinity for water that makes the plant an ideal partner crop for watercress, which is traditionally cultivated in specially prepared gravel beds fed with running spring water. 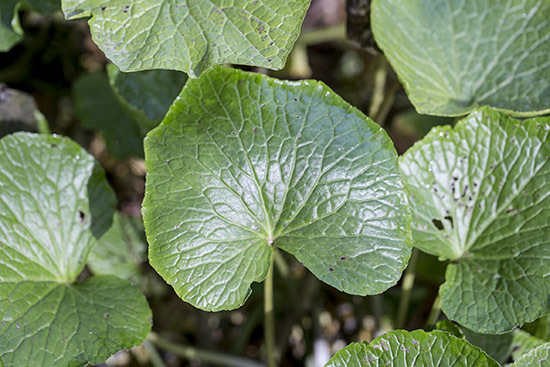 Amery first trialed his wasabi in several under-used watercress farms. "When the story first broke it was disbelief," he chuckles, recalling the moment they finally launched The Wasabi Company. Chefs clamoured for the product, with some flying from across Europe to see the rhizomes with their own eyes. Even Japanese wholesalers made a visit, keen to establish alternative supply routes for when they are unable to meet demand. With wasabi, it is the rhizome of the plant that's the main harvest. 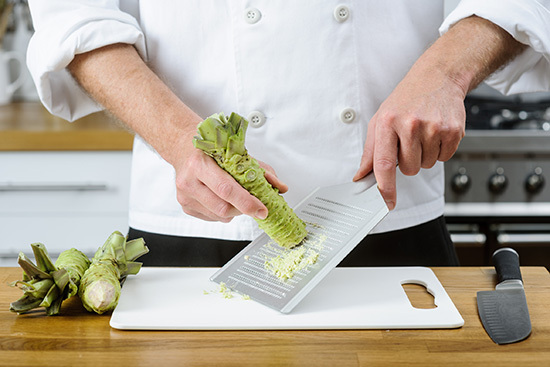 In Japanese cuisine this is typically grated immediately prior to use, a process that triggers a chemical reaction that produces the nose-tingling clean heat. It is chemical compounds called isothiocyanates that are credited with its health benefits. These are anti-microbial, anti-bacterial and anti-parasitic, which may explain why wasabi paste is often served with raw fish in Japan. 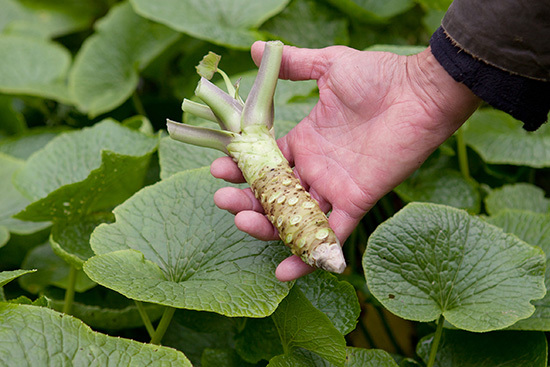 Wasabi produces one crop of rhizomes every two years. 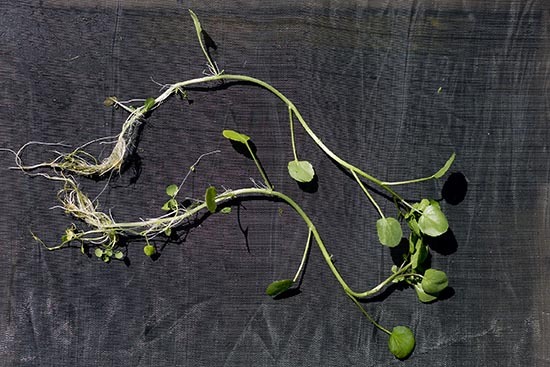 Watercress, in contrast, is a highly rewarding plant. It is ready to harvest within 28-70 days and produces up to six harvests per year from around April to October or November. Watercress sends roots down deep into the running water. 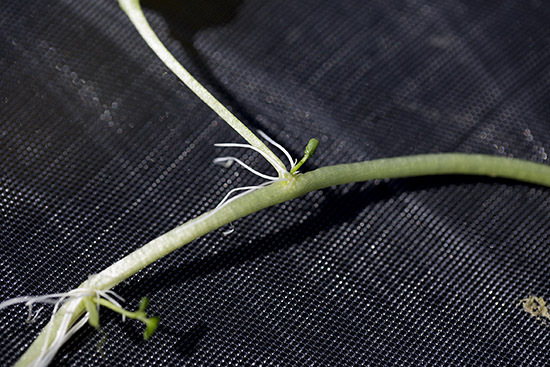 It also produces aerial roots (see the third picture below) which float on the water's surface, absorbing further nutrients. 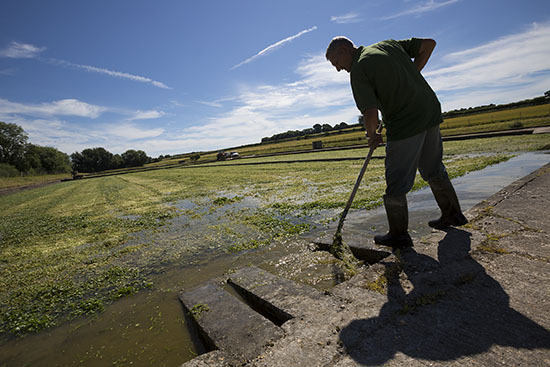 The Watercress Company is one of the largest watercress growers in the UK, producing between 35-55 tonnes per week from a 67-hectare patchwork of farms in Dorset, Hampshire, Spain and the USA. They supply companies at New Covent Garden Market, such as Harwoods, a catering supply company, and wholesaler Premier Fruits, plus most major supermarkets. 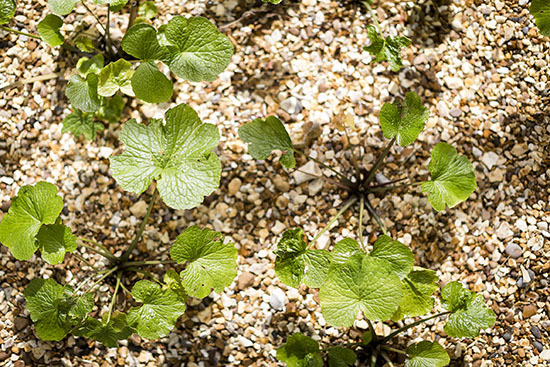 The Wasabi Company sells the rhizomes, the main product, alongside the leaves (great in salads), flowers and petioles. 40% of sales are direct to chefs. They also sell the living plants, wasabi graters, English grown wasabi mustard and a wide range of specialist Japanese products via their website. The wasabi business is still relatively small. "The sensible target would be a hundred kilos [of rhizome] a week," states Amery. 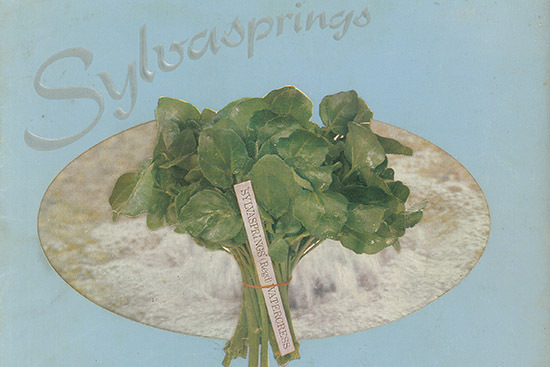 In contrast, his watercress sales are vast: "Per person we eat more watercress than anywhere else in the world." Demand for the product has increased since a slump in the '90s when sales were dropping up to 10% a year. This followed a more protracted decline after the 1950's due to competition from imports, new salad varieties and the closure of many branch railways. The crop used to be an absolutely essential part of the British diet. "There was a phenomenal volume going to London," explains Amery, whose farms have been growing watercress since the 1850's. It is estimated that around a million bunches were consumed daily during its Victorian heyday, often eaten in sandwiches for breakfast or eaten out of hand as a snack. 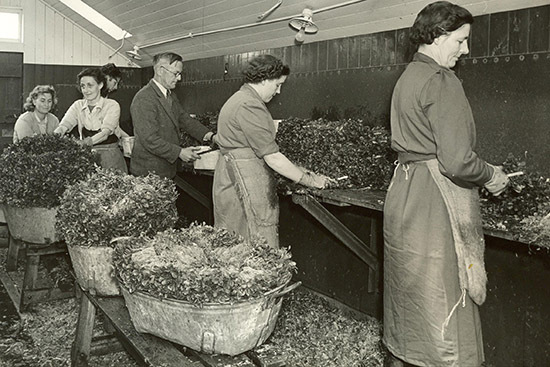 For the British public of yesteryear, watercress was one of the few nutritious salads available in winter. 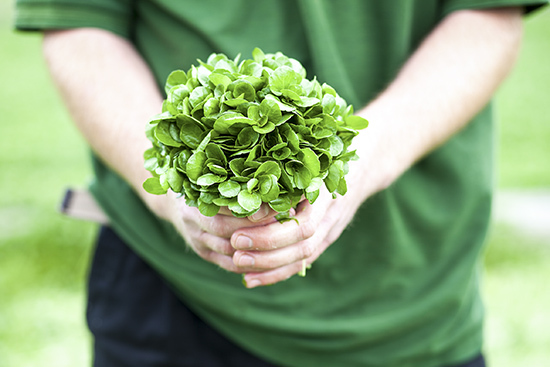 The Watercress Company states that watercress was 'the original superfood'. Gram for gram, it contains more vitamin C than oranges, more calcium than milk, more iron than spinach and more folate than bananas. "It was the Berocca of the day," says Amery. A special train line transported the crop from Hampshire into London and on to Covent Garden Market. Watercress hawkers roamed the streets, selling bunches in cones. Competition was fierce, with growers developing their own brand names, complete with wooden labels proving authenticity. For more background on the crop see here. But by the 1990's watercress was typically seen more as a garnish. This provoked a successful marketing campaign by the watercress industry with the genius slogan 'Not Just a Bit on the Side'. 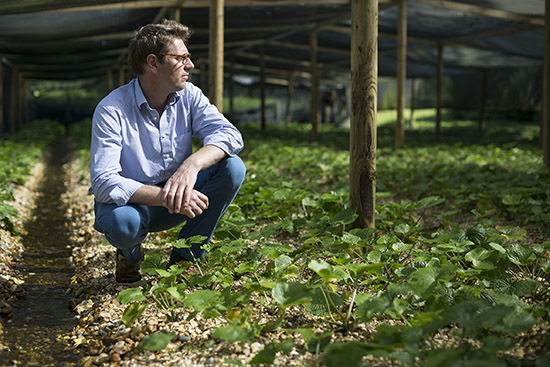 Chefs these days are rediscovering watercress, explains James Harwood Dew, Managing Director of Harwoods in New Covent Garden. "Over the last year people are more interested in it. It's coming back to where it used to be. We came across [The Watercress Company] on Twitter. We've never bought a bunch of watercress off anyone else since. 52 weeks of the year and they have never let us down. The quality is second to none." As I leave, Amery shows me one of his more innovative ideas - dried watercress powder, which he supplies to a nutraceutical company in the USA. 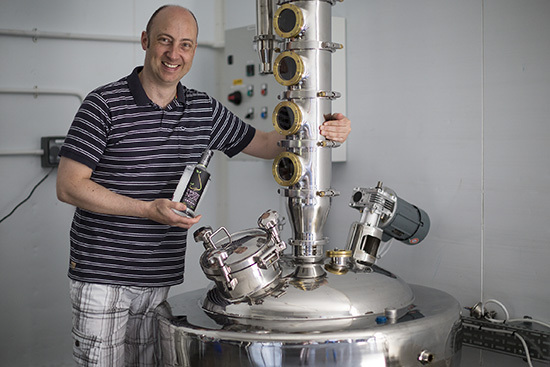 We also take a detour to meet Paul Bowler, an artisan distiller who uses both the watercress and wasabi to infuse spirits, including a gin called Twisted Nose. "Hampshire is synonymous with watercress," he says. "For the gin it adds a peppery sparkle and makes a lovely gin and tonic." Amery has high hopes for his wasabi business. "The demand for wasabi globally is so big that they [the Japanese growers] cannot meet demand." 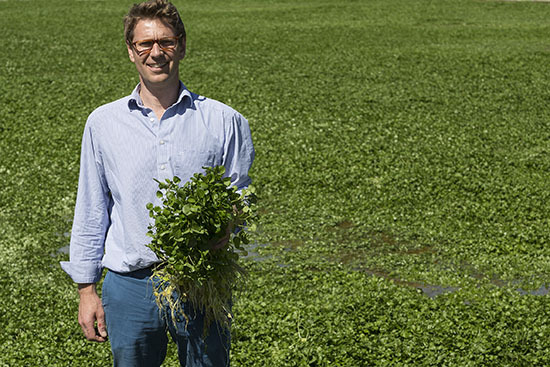 Watercress, too, remains a good bet for the future: "It's a really important product in the UK. We've been eating it for thousands of years, with 150 years of commercial production."